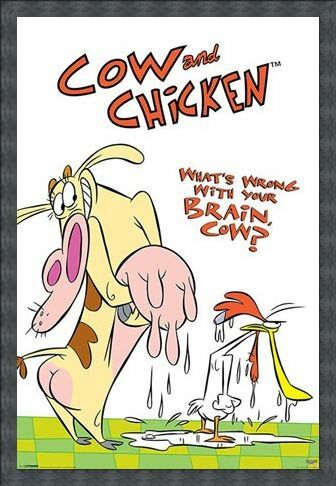 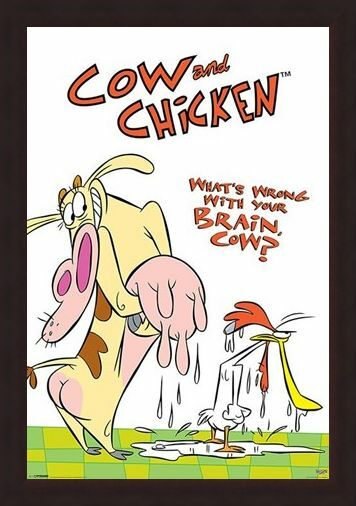 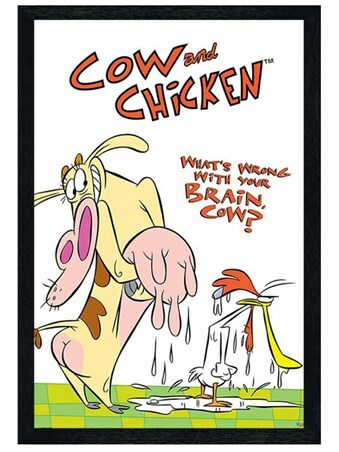 Television Maxi Poster: Reminisce over your favourite childhood cartoons as you hang this awesome 'Cow and Chicken' maxi poster on your bedroom wall. 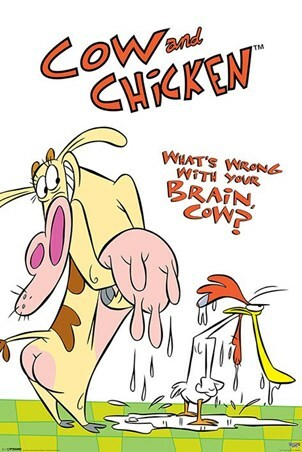 Standing over her brother with her udders hugged against her stomach, Cow looks bashful as her brother Chicken stands, looking rather enraged, in a puddle of milk on the kitchen floor. 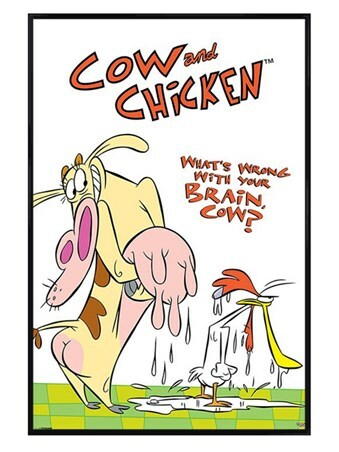 Perfect for cartoon fans of all ages, this hilarious maxi poster is guaranteed to get a smile from even the most morose of faces. 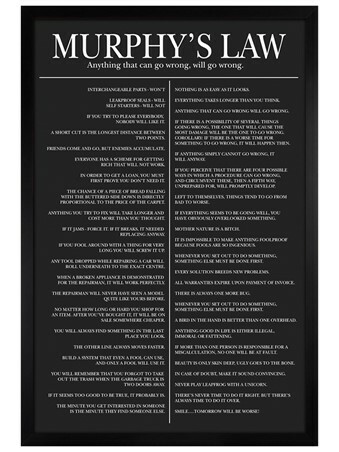 High quality, framed What's Wrong With Your Brain?, Cow & Chicken poster with a bespoke frame by our custom framing service.